As one of Doral’s most luxurious condominiums, the Promenade at Doral is situated in the heart of the city. The community offers its residents a tranquil and tropical atmosphere where they enjoy a lifestyle that is very much like being on vacation 24 hours a day, seven days a week. Built in 2008, this large, and very popular, community consists of 771 one and two-story villas that feature two and three bedroom residences. With sizes ranging between about 1,100 and 1,500 square feet, they feel spacious and roomy. Location is everything and the Promenade at Doral is the epitome of “location, location, location.” Not only are the major thoroughfares in and out of Miami/Dade County close by, but within a 10-minute drive, residents can be on the one of the championship golf courses at the Doral Resort and Spa or shopping at Dolphin Mall. 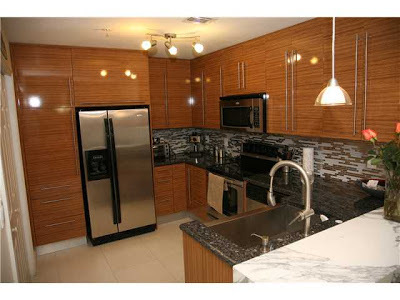 Not much further is the exciting and always stylish areas of Downtown Miami and South Beach. Finally, the major transportation hubs, Miami International Airport and the Port of Miami, are a 30-minute drive making it a perfect place to live for those who travel quite a bit. Upon entering the Promenade at Doral, residents immediately feel they have entered a Mediterranean resort. They enjoy a welcoming community atmosphere with lush landscaping and street scapes, tranquil lake views with covered pavilions and patios, and a community resort-style pool with large pool deck, bathrooms and showers. A 7,000 square foot clubhouse plays host to a state of the art fitness center, party rooms with full kitchens, a game room with arcade style game tables, and a meeting center. Outside, there are lighted tennis courts and a full length basketball court. Inside each residence, homes are spacious and feature nine-foot ceilings. Other fixtures and finishes include ceramic tile and carpeted floors, tempered glass sliding glass doors, large kitchens with full appliance packages, European-style cabinetry and durable counter tops and back splashes. While original properties were built designer-ready with appliance and fixture packages, home owners upgraded to higher end options. Bathrooms feature tile floors, spa-like showers and roman tubs and marble counter tops (master suite only). Like most Doral real estate, property is more affordable and offers lots of opportunities for investors, first time buyers and those in need of second homes in the area. Currently there are eight properties on the market in the Promenade at Doral that range in price from the low to high-$200s. In 2012, four properties sold between $140K and $215K. 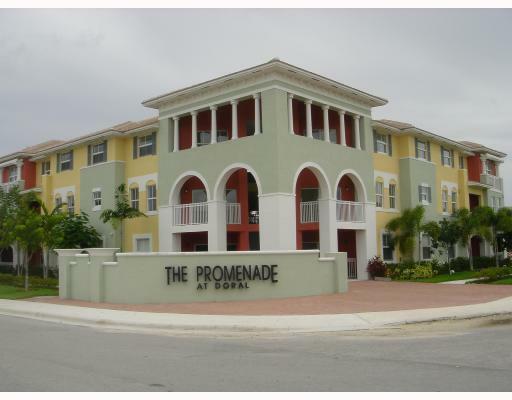 Rental property at the Promenade at Doral is a sought after address because of everything it has to offer as well as its location. Currently there are six residences for rent with monthly rental rates between $1,485 and $1,800. This is an excellent Doral condominium community for investors. 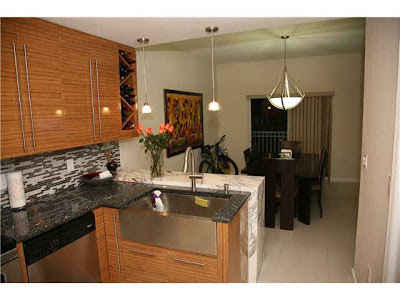 There is no doubt that property in the Promenade at Doral is a great investment. Its location, amenities, and aesthetic appeal make it ideal for many buyers from first time buyers to investors. It is definitely worth checking out the opportunities at the Promenade at Doral.